The Great Composer created the world through music. An orderly succession of movements. Or on the other hand accelerated, slowed down, sudden, happy, lively. A scan of sounds and their perception in a certain frequency. Everyone has the instrument to perform the symphony. Our emotions reflect our rhythm. 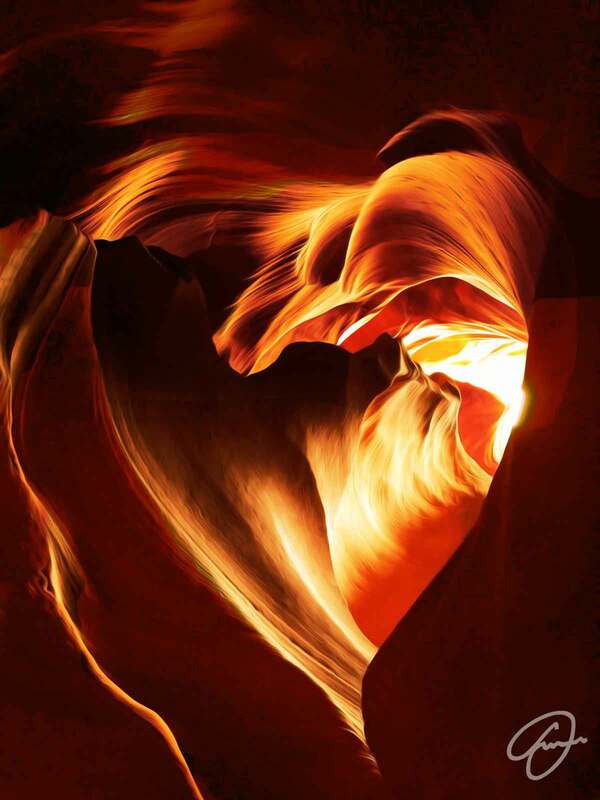 Master of Rhythm is part of the ‘Heart’ series drawn from earth, water, wind, and sun in a canyon in Arizona.